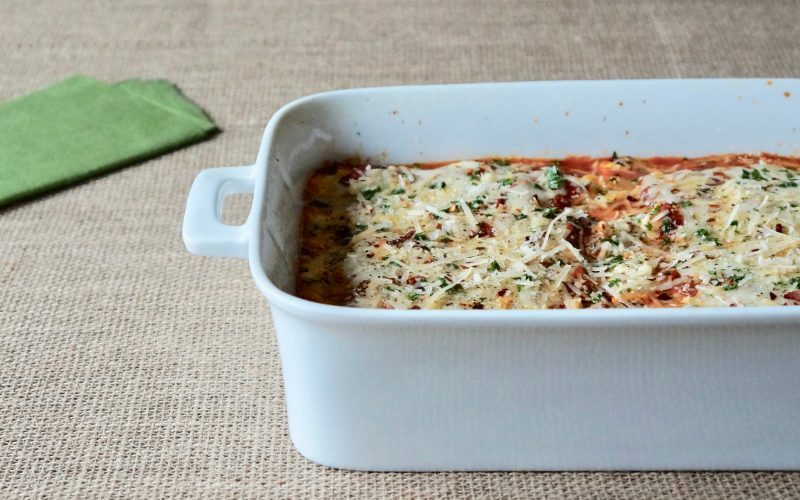 Lasagna Bolognese was my favorite meal growing up. The one that was requested for special birthday meals & holiday gatherings. 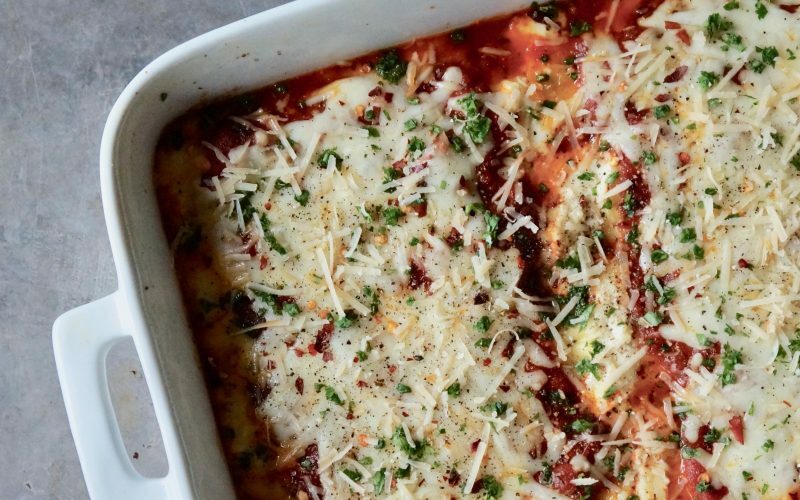 But Four Cheese Manicotti With Basil Marinara changed it all. Maybe it’s the excessive amount of cheese that’s seasoned just so or the rich tomato sauce perfumed with fresh basil that swayed me. I simply do not know however this recipe in particular is the very best I’ve ever had & the good news is that it’s so easy to make. 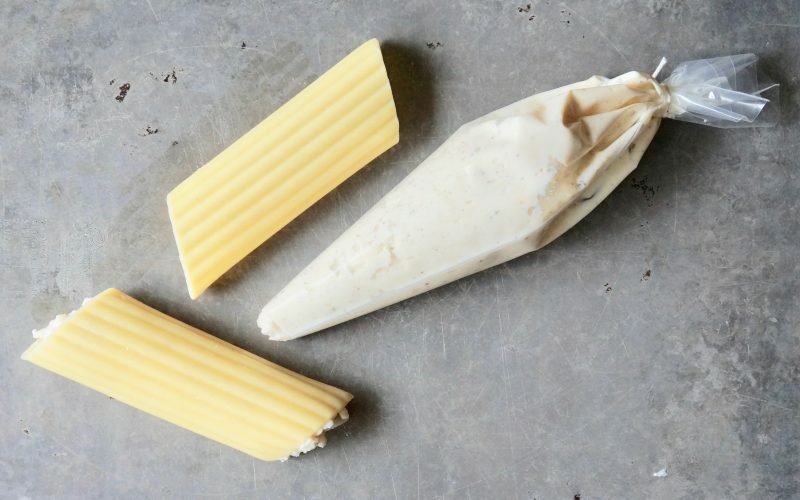 Use a pastry bag to pipe the filling in the cooked manicotti pasta & freshly shave the Parmesan with a microplane grater for the ultimate taste & texture notes. Learn how to make an Italian classic with my detailed recipe & instruction. I used a deep dish casserole however a regular 13 x 9-inch baking dish will work just fine. Cook the manicotti noodles in 3 quarts boiling water in a Dutch oven 8 minutes. Drain in a colander. Run under cold water to stop the cooking process. Place the noodles on an oiled quarter sheet pan. Set aside. Stir together the ricotta cheese, the garlic, the salt, the black pepper & the nutmeg in a medium bowl. Stir in the egg until blended. Fold in 2 cups of the Provolone & Mozzarella cheese blend & the Parmesan cheese. 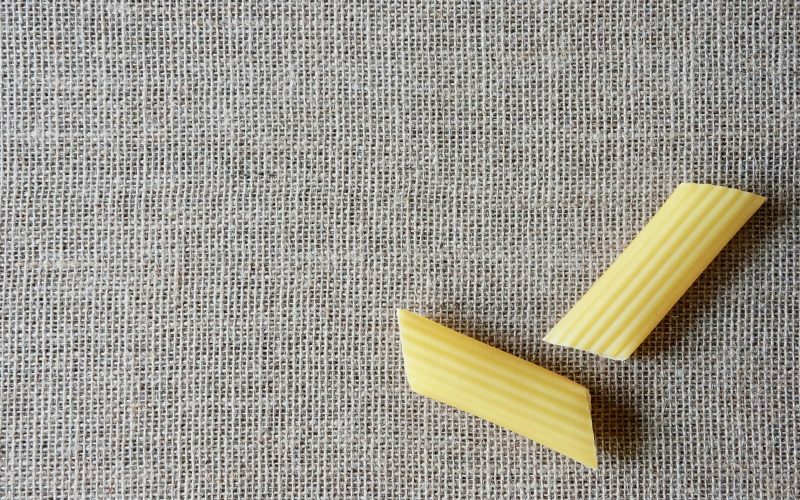 Fill a large pastry bag with the cheese mixture & pipe into the cooked manicotti noodles refilling the bag as necessary. Preheat the oven to 350 degrees. 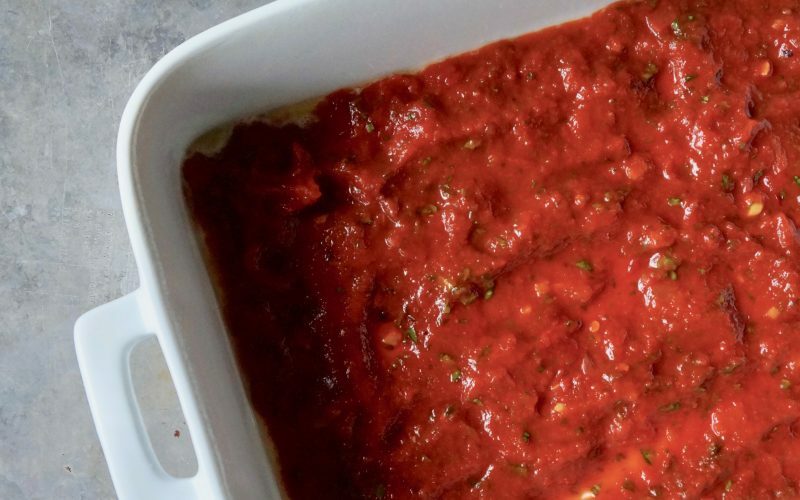 Stir together the marinara sauce, the basil & the crushed red pepper flakes in a medium bowl. Spread 1 1/4 cups of the mixture in the bottom of a lightly greased 13 x 9-inch baking dish. 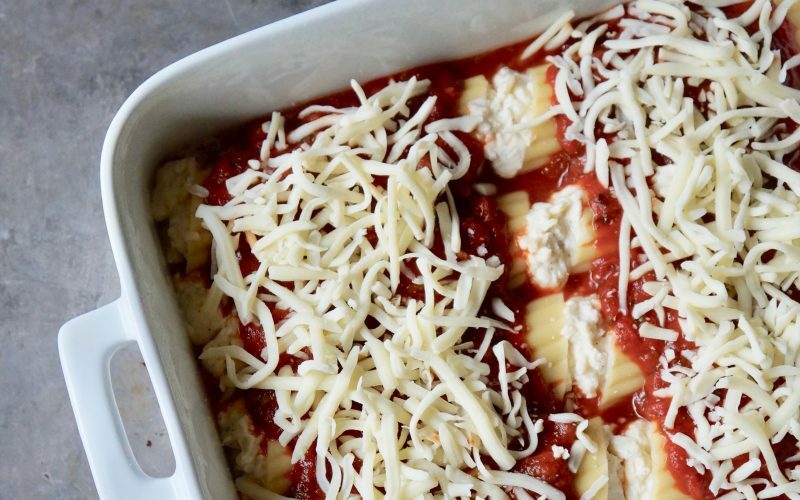 Arrange the filled manicotti noodles over the sauce. Top with the remaining sauce. Sprinkle with the remaining 1 cup Provolone & Mozzarella cheese blend. Bake 28 to 32 minutes or until the cheese melts, the sauce is bubbly around the edges & the internal temperature registers 160 degrees on a thermometer. Remove from the oven. Garnish, if desired. 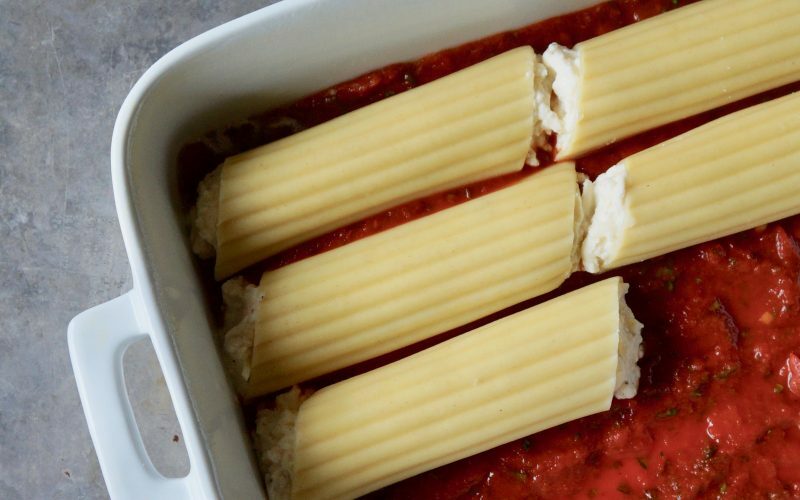 If you prefer jumbo shells over the manicotti noodles, by all means make a substitution. Prepare the recipe up to 24 hours ahead of time. Cover the dish with plastic wrap & chill, then bake as directed adding a few minutes, if necessary, to ensure the dish is heated throughout. Preheat the oven to 350 degrees. Stir together the marinara sauce, the basil & the crushed red pepper flakes in a medium bowl. Spread 1 1/4 cups of the mixture in the bottom of a lightly greased 13 x 9-inch baking dish. 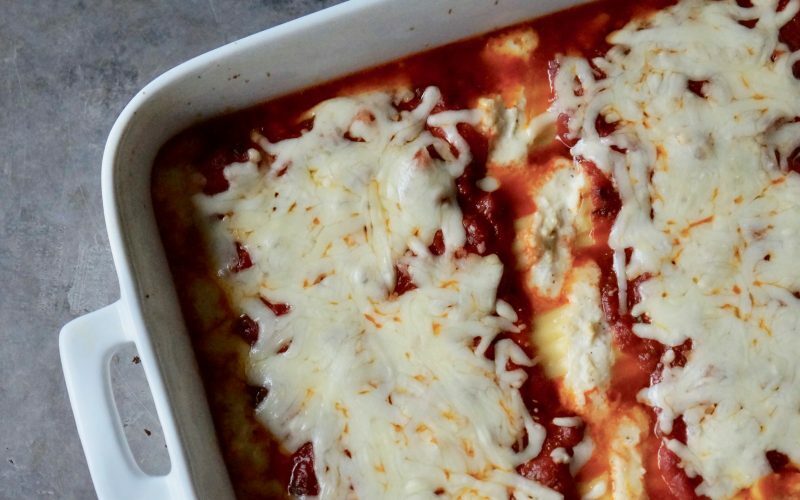 Arrange the filled manicotti noodles over the sauce. Top with the remaining sauce. Sprinkle with the remaining 1 cup Provolone & Mozzarella cheese blend. Bake 28 to 32 minutes or until the cheese melts, the sauce is bubbly around the edges & the internal temperature registers 160 degrees on a thermometer. Remove from the oven. Garnish, if desired.